Windows 10 update KB4013429 is now available for download. Anniversary update users will now see a new Cumulative Update for Windows 10 Version 1607 for x64-based Systems (KB4013429) and Update for Windows 10 Version 1607 for x64-based Systems (KB4013418). in their update. The latest update includes fixes and improvements from the month of both February and March. This is the first update for Windows 10 devices since January 2017. Last month, Microsoft failed to deliver scheduled monthly updates. According to the company, February patch was canceled because of last minute issue with the update. The latest update is now rolling out for both Windows 10 1607 PCs and mobile devices. Also, the new cumulative update pushed Anniversary Update build 14393.805 to build 14393.953 for PC and build 10.0.14393.953 for mobile devices. Windows 10 update KB4013429 fixed an issue where the Japanese Input Method Editor is leaking graphics device interface resources, which causes windows to disappear or only partially render after typing approximately 100 sentences. Windows 10 update KB4013429 improved the bandwidth of SSD/NVMe drives available to application workloads during S2D rebuild operations. Update KB4013418 fixed an issue where adjusting the Windows Server Update Services settings using the Group Policy feature causes downloads to fail. Windows 10 update KB4013429 fixed an issue that causes Office 2016 profile corruption when used with User Experience Virtualization (UE-V) roaming. Update KB4013418 fixed an issue that causes the Local Security Authority Subsystem Service to become unresponsive after upgrading the OS. Update KB4013418 fixed an issue that causes transactions to fail because of a memory shortage. Windows 10 update KB4013429 fixed an issue that may decrease performance by up to 50% when Ethernet adapters that support receive side scaling (RSS) fail to re-enable RSS after a fault or system upgrade. Windows 10 update KB4013429 fixed an additional issues with updated time zone information, Internet Explorer, file server and clustering, wireless networking, Map apps, mobile upgrades for IoT, display rendering, USB 2.0 safe removal, multimedia, Direct3D, Microsoft Edge, enterprise security, Windows Server Update Services, storage networking, Remote Desktop, clustering, Windows Hyper-V, and Credential Guard. Recently, Microsoft also rolled out Windows 10 Insider Preview build 15055 and Mobile build 15055 for Fast Ring members. Furthermore, if you’re a Windows Insider member, Windows 10 build 15042 ISO images are now available for download. You can download ISOs from here. Microsoft’s Windows 10 Creators Update is expected to release in April. The next major update Redstone 3 will release later this year and Redstone 4 update will come next year. The company has already started working on Redstone 3 update. 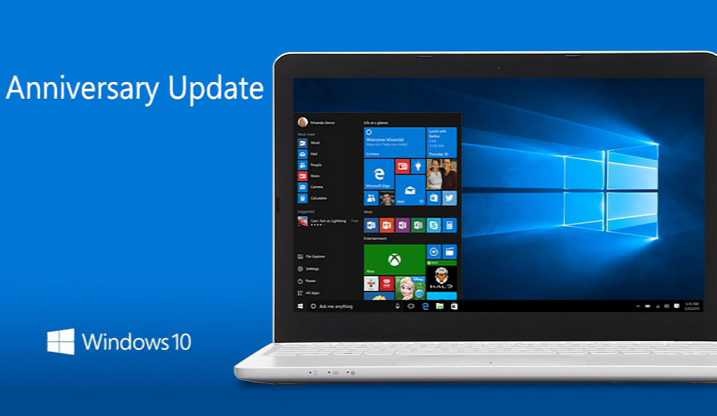 Anniversary Update users can now check their updates and download Cumulative Update for Windows 10 Version 1607 for x64-based Systems (KB4013429) and Update for Windows 10 Version 1607 for x64-based Systems (KB4013418). The new update is also available for Windows Server 2016. However, some users are reporting that Windows 10 update KB4013429 download stuck at 0% or at 95%, the update fails to install or blue screen error after reboot. If you are also facing these issues, click on the link below for more details.